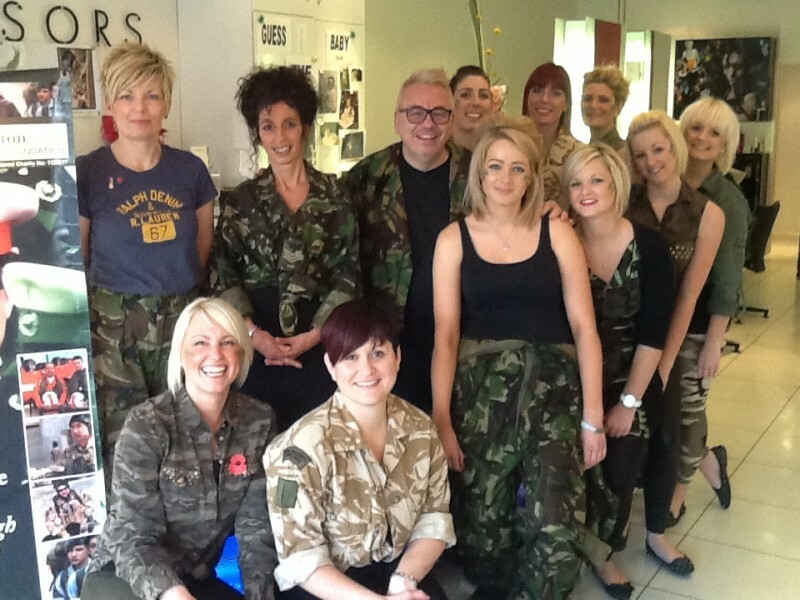 At Scissors in Ferndown Carolyn Thorpe, pictured above (front left) and her superb team devoted the entire month of November to fundraising for the JTYAF with the aim of raising £1000! They put on raffles and quizzes for the customers and the whole team dressed up in army camouflage gear to draw attention to their efforts and encourage the customers to support them. On one Saturday alone, they raised over £200 in an hour! Carolyn and her team have been an amazing support in 2012. This is their second fundraiser for the JTYAF and they have now donated an incredible £1250 to John’s foundation. We can’t thank them enough for all they’ve done. They have not only raised valuable funds but they have promoted the JTYAF to their clients for which we are extremely grateful. Thank you to Scissors Ferndown and to all their customers who have been so generous with their support.